"...word of mouth has it that even though he fully intends to return to France, he will be turning the bakery over to an apprentice who will keep it open. I've heard this from more than one loyal patron, so remain hopeful that by years end, despite losing Claude (the man whom I solely associate with the best croissants in the city) there will be someone to continue upholding the standards of our local Patisserie"
No matter what is happening with the reno or with Claude...you're not getting those croissants today. 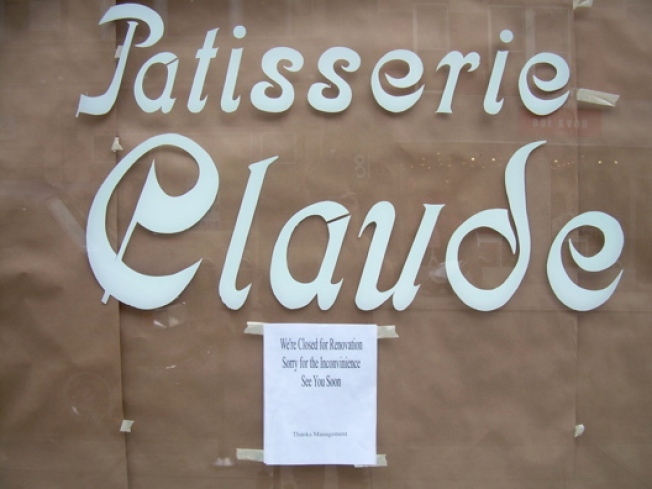 · Patisserie Claude Is Not Going Anywhere [SE]For more stories from Eater, go to eater.com.